Depending upon the circumstances of your arrest, criminal charges for using a Fake ID or Fake Driver’s License will either be issued under N.J.S.A. 2C:21-2.1 or N.J.S.A. 33:1-81. These two charges carry wildly different levels of penalties and it is imperative that you understand which charge has been filed against you or your family member. With police initiatives like “Operation Facial Scrub” and “Cops in Shops” we must be careful when and where we attempt to use false identification. Depending on the charges, you could be facing anywhere from six (6) months to five (5) years in prison, a $15,000 fine and a criminal record. For those residents of Burlington County who are still in school or are seeking employment, these criminal records could derail these hopes. If you or someone in your family have been charged with underage drinking, Underage DWI or possessing/using a Fake ID, call the criminal trial attorneys at Proetta & Oliver. Our law firm can be reached 24/7 by calling (609) 850-8284. The initial consultation is always provided free of charge. ♦ As a Second Degree Criminal Offense, you are facing between five (5) and ten (10) years in a New Jersey State Prison, a $150,000 fine and a license suspension between six (6) months and two (2) years. ♦ An common example of this would be handing a Fake ID to a bouncer, bartender or liquor store clerk. ♦ As a Third Degree Criminal Offense, you are facing between three (3) and five (5) years in a New Jersey State Prison, a $15,000 fine and a license suspension between six (6) months and two (2) years. ♦ Unlike the third degree offense above, this crime only requires that you possess the Fake ID, regardless if you even used it. ♦ As a Fourth Degree Criminal Offense, you are facing eighteen (18) months in a New Jersey State Prison or Burlington County Jail, a $10,000 fine and a license suspension between six (6) months and two (2) years. 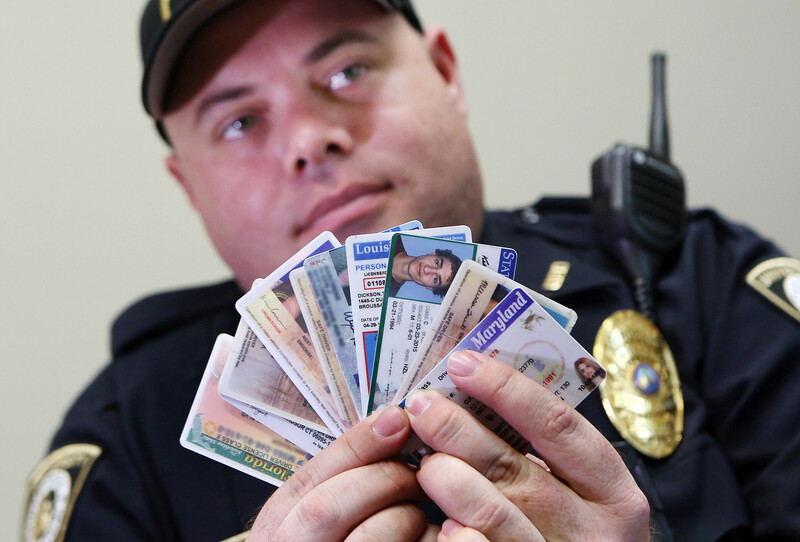 ♦ This Fake ID charge is a disorderly persons offense that is typically issued by officers in an undercover capacity at liquor stores or bars. If charged and convicted, you are facing a minimum fine between $500 and $1,000 and a mandatory suspension of your driver’s license for at least six (6) months. If you or someone in you family have been charged with possession of a fake ID or Misrepresentation of Age to Induce Sale of Alcohol, call the criminal defense law firm of Proetta & Oliver. Located in Burlington County, our office is ready and able to assist you and your family with any pending criminal matter. Firm Partner and Former New Jersey Deputy Attorney General, William C. Fay, IV, spent part of his career prosecuting cases on behalf of the State of New Jersey and now offers his services to defendants. Call (609) 850-8284 today for your complimentary consultation.